His big break came when Norman Granz presented him at the 1949 Jazz at the Philharmonic in Carnegie Hall. The following year Peterson won the Down Beat reader’s poll, the first of several wins through 1967. By the late ‘50s his was the highest paid jazz trio in the world, according to Gene Lees, author of Oscar Peterson: The Will to Swing. The first of the famous Peterson trios was comprised of bassist Ray Brown and guitarist Herb Ellis. They toured and recorded extensively under Granz who would be Peterson’s manager for over 30 years. Tired of the road, Ellis left after six years, and Peterson, feeling that the guitarist was irreplaceable, decided to hire a drummer. Ed Thigpen and Brown made up the second remarkable Peterson trio which, again, lasted for six years. Toward the end of 1965, the trio disbanded. After a 15-year musical partnership, Brown was ready to settle in California for awhile, and Thigpen moved to Denmark. 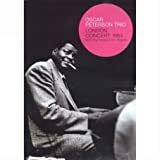 Peterson continued a rigorous performance schedule with stellar musicians such as guitarist Joe Pass, bassist Niels-Henning Orsted Pedersen, and Ella Fitzgerald. During the sixties Peterson played several private parties for German millionaire Hans Georg Brunner-Scher, who later released the tapes on his record label MPS. Peterson, considers these solo albums among his best. Unfortunately, legal problems blocked the release of some of the recordings. In the meantime rock ‘n’ roll overwhelmed the music industry, and a disgusted Granz decided to form his own label, Pablo, to record deserving jazz artists. 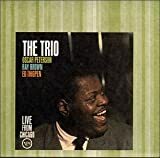 One of the first releases in 1964 was The Oscar Peterson Trio: Live in Tokyo. Peterson suffered a stroke in 1993 which damaged his left hand, but he determinedly came back to perform again. In 2005 he was honored with a commemorative stamp in Canada. He died on December 23, 2007.